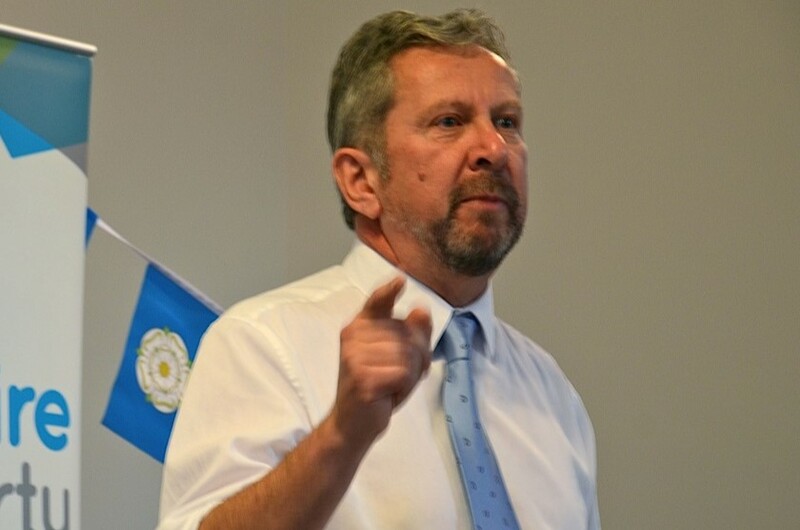 Arnie, the leader of the Elections Working Group on the Executive Committee, said: “I am thrilled that members of the Yorkshire Party have chosen to put their faith in me in this way. Chris Gauton, the Director of Policy on the Executive Committee is supervising the internal election process and has announced that there will be a ballot to fill other vacancies on the Executive Committee. 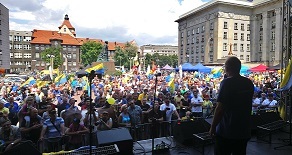 Chris urged members to take part in the ballot. “This is an historic vote as it is the first contested election. I would encourage all members to take part in this example of Yorkshire party democracy,” he said. There are seven nominees for the four seats: the candidates are Jonathan Barras, Bob Buxton, Jack Carrington, Richard Cullen, Keiron Mitton, Martin Roberts, Laura Walker. Members will receive an email containing 250-word election statements (which are repeated below) from each candidate together with a voting number, allowing them to take part in the poll. Voting is between 9am on Saturday September 8 and 10pm on Sunday September 30, 2018 using the Single Transferable Vote system. Single Transferable Vote is a proportional representation voting system. Candidates don’t need a simple majority of the votes but instead a “quota” or proportion of the vote that is determined by the number of votes cast and the number of posts to be filled. Members are asked to list their candidates in order of your preference (first, second, third and so on). They can vote for as many of the candidates as they want from just one candidate to all of them. Check the video (https://www.youtube.com/watch?v=P38Y4VG1Ibo) for an explanation of how the system works and how we work out who wins. STV ensures that few votes are wasted, unlike other systems, especially First Past the Post, where only a small number of votes actually contribute to the result. The number of votes which candidates need to be elected (the ‘quota’) is calculated by dividing the total number of valid ballot papers by the number of people to be elected, plus one. For example, with 100 valid ballot papers and 3 places to be filled, the quota would be 25. The ballot papers are sorted according to the first preferences. If any candidate has more first preference votes than the quota, they are immediately elected. After all the surpluses have been transferred; we look to see whether all the places to be elected have been filled. If they have not, then the candidate with the fewest votes is excluded and his or her votes are transferred to the voters’ second preferences. This process of transferring surpluses and excluding candidates continues until enough candidates have reached the quota to fill all the places to be elected. Although the counting process is more complex than with first past the post, it will be done by, or with the help of, a computer. I joined the Yorkshire Party in January of this year after following the party and publicly backing its calls for a real devolution deal for Yorkshire at multiple points. Previously to this I stood in 2 local elections and the 2017 General election as well as this I was the Vote Leave constituency co-ordinator for Bradford East. The reason I chose the join the Yorkshire Party was very simple, I truly believe that the party offers the voters of Yorkshire and Redcar a real alternative to the old politics of the established parties and that it has the very real potential to grow into a huge political force. I recognise though that to achieve the primary aim of the party and offer voters that alternative, that there is a huge amount of work to do to develop a broad range of policy’s that cover every aspect of life in Yorkshire and Redcar, it is my aim to lend my experience of talking to voters and finding out what they want and need to help the party develop these policies, for this I ask you to vote for me to join the NEC, by doing this you will put me in a position where I will be able to help direct the future direction of the party, helping it develop professionally, with new and fresh ideas. Why don’t more people support Yorkshire devolution? Because they haven’t heard our arguments. We’re getting more press coverage and candidates each year but there’s a long way to go. I want to help the party field over 100 candidates per year by 2020. We need regular street stalls, university societies and hard campaigning throughout Yorkshire. Why do I support devolution? In Scotland and London, devolution has brought improvements in transport and education. Yorkshire has the worst GCSE results in the UK and ailing transport; we need to take charge of our own affairs. As a teacher, I want to change the teaching-to-the-test culture in secondary schools, end the practice of unconditional university offers and scrap tuition fees. As a commuter, I want Yorkshire to close the gap with London, by developing proper inner city transport and reversing Beeching cuts. For four years, I’ve campaigned to preserve greenbelt and introduce cheaper housing on brownfield sites – which is what local people tell me they want, but rarely get. Town and parish councils need more powers to control their own housing policy. I joined the Yorkshire Party in 2014 and have stood in two General Elections, three local elections and won a seat on Rawdon Parish Council. Campaigning isn’t easy but I’ve learned a lot, progressing from 70 votes in 2015 to 1,530 this year. I want to pass my knowledge on and get our message across. Whether elected or not, I will continue to work hard for a better, fairer Yorkshire. An imported/honorary Yorkshireman, I have lived in Sheffield for 7 years now. I am a part-qualified accountant by training and until recently a director of Make Votes Matter (the campaign for Proportional Representation), among some other much smaller voluntary hats and activities (such as Sheffield for Democracy, and PCA). I joined the Yorkshire Party in mid 2016, and the Executive shortly after. I have represented the Party twice in local elections, once in a general election, and been very active supporting other candidates across Sheffield, Wakefield and Doncaster. Though I have been far less reliable over the previous year, largely due to health issues and my (now former) directorship, I am standing for re-election to the Executive because I believe I can contribute again going forward; at the very least my judgment, and some amount of political knowledge and campaigning experience (both on the ground and otherwise). My personal priority for the party: though basically every objective and measure of success is both chicken and egg to our continued growth, the biggest self-perpetuating influence is [massively] expanding the party membership. It would provide us with everything from a far larger pool of potential candidates, a competitive campaigning force for elections and by-elections, to the critical mass required for branches to form, maintain themselves, and act in their areas. There are many actions and activities we can begin – or continue – towards this goal, and it will be my core concern if re-elected to the executive. Thank you for your consideration. I’m originally a Scouse but Yorkshire has become my home. My name’s Rich and I’m running for a position on the Yorkshire Party Executive Committee. Since a young age, I’ve been interested in making a difference. From being a leader and member of various youth organisations, such as UK Youth and St John Ambulance to name a few, I have provided a voice for those who have elected me and provided them with feedback, events, opportunities and organisation. My time as Union Secretary Treasurer at the University of Bradford Students Union provided me with an insight into hands-on student politics and the opportunity to work with the city. Here I worked with many steering groups, council boards and members of council to push plans to further student experience within the city. I want to stand for the Yorkshire Party Executive Committee to support the executive in line with my current role as sales and marketing manager for a group of venues, pubs and a coffee shop in the Bradford District and support and guide the executive in communicating across a region to better attract members and nurture the ones we already have. I ask that you lend me your support to further the actions that the party has already put into play and bring new ideas and experience to the Yorkshire Party. I’m standing for another term on the Yorkshire Party Executive Committee because, while huge progress has been made, there’s still so much more to do. I’ve been involved with the Yorkshire Party since 2014 and I founded the Wakefield Branch with the intention of helping the Party grow. I stood in the 2015 elections at parish, local and parliamentary levels, becoming the first candidate to gain 1,000 votes in a campaign. I also stood in the 2017 General Election and the 2016 and 2018 local elections as a Party candidate. In 2016, I was elected uncontested to the Executive and asked to fulfil the position of Branch Development Officer (later to become Chair of the Membership Working Group). Through this role, I’ve assisted in the development of many branches, along with helping in Party campaigns and by-elections, plus in the organisation and delivery of conferences. If I were to be re-elected to the Executive, I would like to continue in my current role with its focus on Branch Development. I wish to contribute towards an improved membership system in our Party, including improved branch structures and communication between the Executive, branches and members. My role to date has involved meeting numerous members of the party and the public across Yorkshire discussing the many problems that affect them. Of all my work with the Yorkshire Party, this is the element I find most rewarding, and I hope to able to continue it. I joined the Yorkshire Party during the 2017 general election – like many of us I felt I had been let down by the Westminster parties and I no longer had a political home, but I also felt strongly about having more power for local people. As a growing party I believe it’s vital that we talk to people who felt as I did about as wide a range of issues as possible – that’s why as the only woman on the ballot I want to help spread the reach of the party to more female supporters and activists and enable the committee to speak with an authentic voice about things which appeal to a wider base of supporters. In my professional life I work for the charity Independent Age – promoting independence and reducing loneliness for older people. I spent several years in Supply Chain in the manufacturing industry, and I also have experience in the public sector (Ministry of Defence and the Food Standards Agency). Outside of work I’m a mum to a young son who is just starting at a local school, and over the last 6 months I have been involved in local campaigns for crime reduction and stopping unwelcome development in my local community. I live in Wakefield and have participated in many of the local campaigns we have run there. I hope to be able to bring my skills and experience to the committee to ensure we maintain our growth into the next election.